Eat, drink and party with half off drinks and sociable bites. Starting September 4, STK Toronto will be open for lunch Monday - Friday: 11:30 am - 2:45 pm. Valet parking is available on Saturday nights. Live DJs on deck, Thursday - Sunday nights. From dinner parties, cocktail events to bbq's and pool parties, learn more about our catering capabilities by contacting eventsto@togrp.com. 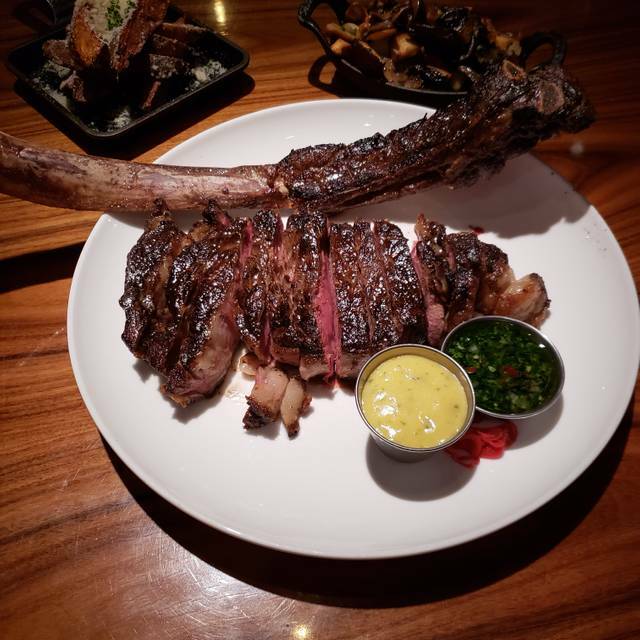 STK is a unique concept that artfully blends the modern steakhouse and chic lounge into one, offering a dynamic, fine dining experience with the superior quality of a traditional steakhouse. 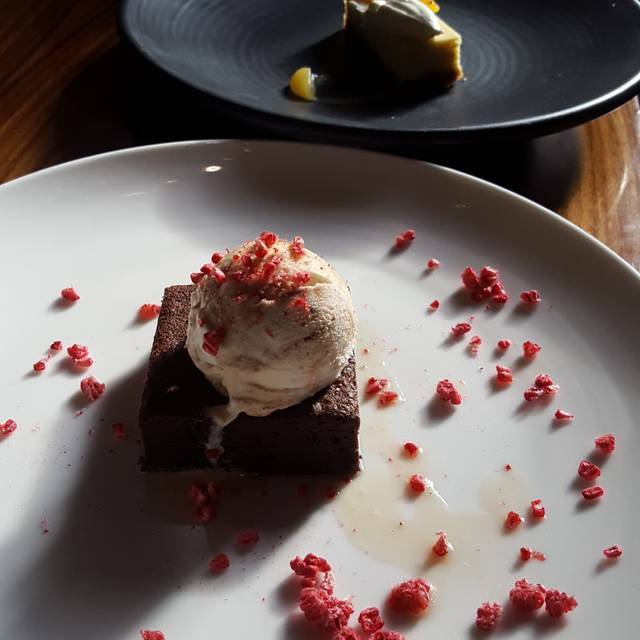 STK distinguishes itself by focusing on the social experience with a sleek, contemporary design and an in-house DJ who creates an infectious, high-energy vibe. The menu features reimagined classic American cuisine with signature dishes like bite-sized Lil’ BRGs made with Wagyu beef, Lobster Mac & Cheese and, of course, the highest quality steak. All events – large or small, decadent or relaxed – will be customized to suit your needs, guaranteeing an event that your guests won’t forget. 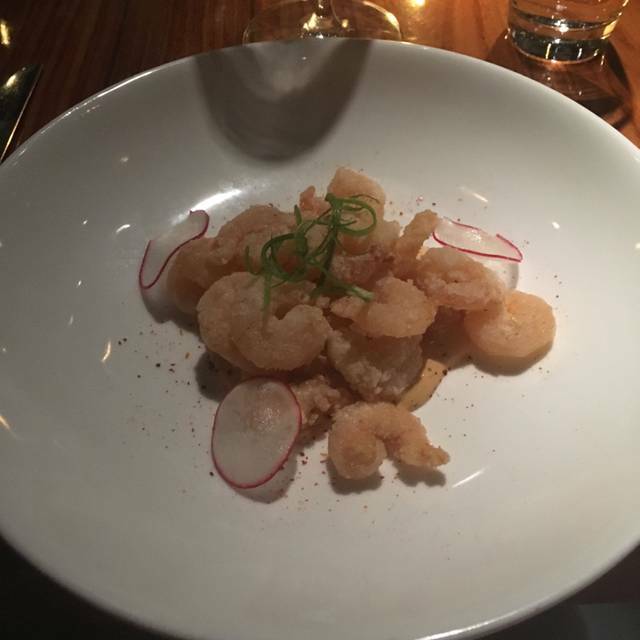 While we enjoyed our evening at STK- we found that STK is WAY over priced. A dinner for 4- cost us over $800!!! That’s is ludicrous. We will never eat here again. It is steak! People. The sides were ok- in fact I make a better brussle sprouts and bacon! The drinks while good were also over priced- no one in the bar is using the best ingredients- on one. Easy drink was almost $20... outrageous. Clearly you cater to a different clientele.. Disappointing for an average family. 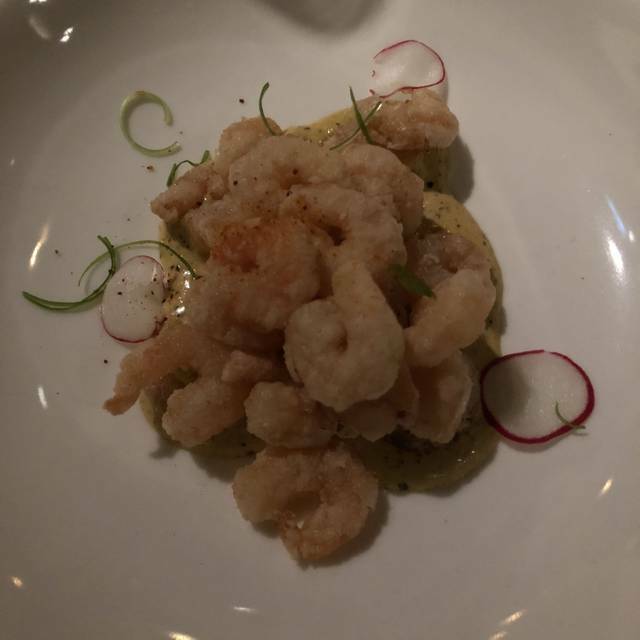 We found a hair in our food, also we were disappointed in the service bc we had iterated from the beginning we were here for a bday and our server messed it up, on top of the hair and the lack of understanding on the server’s side, and the fact that we had to bring a manager to help and still didn’t really accommodate 100% (our bday girl still had to pay even though we SAID from the beginning she wasn’t paying, and they still didn’t accommodate was disappointing). I would go there for the food, but the service was 2/10... it could have gone so much better considering the ambience. It was an early dinner, lovely staff, very friendly. Choice of seating in a modern venue. The beautiful fireplace needed the windows to be cleaned and shined up. Tuna Tatar was very good as was steak and mushrooms. Martinis were a disappointment. Ordered Grey Goose, dry, no vermouth - came back with too much vermouth. Replacement was fine. Second Martini had a peppery spice to it. It was not a complicated order. On a quite evening we had to flag for service a few times, no cutlery, drinks were not on the ball and basic things were being overlooked. Staff needs more training and a sharp eye is needed to pickup on the missing details. For a discerning customer, I would give it a pass. Albeit we were late due to heavy traffic, management made up for it. While we were being forced to give up our table by 9:30, at times it did feel rushed but I can appreciate it. Noise level is a bit too much but it compliments the decor, ambience, energy, and vibe. Steaks were amazing! Service awesome. Pricey so is a good special occasion event! Stephanie was an incredible server. She was genuine , sincere , helpful, and enthusiastic about her job. She inspired me to want to work here , and return again and again. Incredible atmosphere is your looking for a fun night out ! It was a great time :) thank you to our server! She was amazing! Phenomenal service from our waiter Mathew. Our group of four arrived at 6:15 and we were promptly seated. Our server had worked there since the opening of the restaurant and was very knowledgeable of the menu. Great ambiance and atmosphere,not a quiet setting but nothing crazy. Would definitely go again. Great overall experience, fun place for great food and drinks. Great music, live DJ, great vibes, love this place! Great experience. Highly recommend. Will definitely go back. STK is a great environment for any kind of celebration. The service from Matthew was outstanding, he paid attention to dietary concerns we had and was very knowledgable. The food was presented well but did not fully meet our expectations. Although the food was not the best we've had, we would come back here again as we enjoyed the atmosphere. Definitely not a lunch time spot. The steaks were nearly all well done (I asked for media rare) and my piece was in a particularly sorry looking state and size. On the plus side, the asparagus and Mac and cheese sides were great plus the starters. Unpleasant hostess and 30 mins wait for table. Didn’t sit down until nearly midnight. Food was ok - steaks cooked well; shrimp cocktail was a waste of money; bread was tasty; crispy cauliflower was good; we tried the plate of sauces with our steaks - they were good to taste but not worth $2 each. I was happy to see that the host saw the note on the reservation that it was my husband’s birthday. The waiter also asked if we were celebrating anything and they wished him a happy birthday. Many people had birthdays and I saw workers come out with a torch and a cotton candy plate and a plate with “happy birthday” written. It was very nice. I was exited that my husband would get this as well....until I was quickly disappointed that he did not and we got the dessert menu that had this “cotton candy cloud” on the menu for like $16. Total let-down. I’m not asking for a free $16 dessert, but maybe a piece of chocolate on a plate that says “happy birthday,” a shot, comp his espresso? - something. This restaurant made me think of the many other restaurants that we’ve been to, that shows that they value their customers - including muffins (Jacobs steakhouse), chocolates (BlueBlood), a drink (Piano Piano), I can go on. The overall experience makes us want to return or not want to return to an establishment. We will most likely not be returning to STK. Highly recommend! A little bit loud and was hot inside. Otherwise the food and service were superb!! Always great every time we go. The food is so good and our waiter was really nice. We came for our honeymoon and they did an amazing job at catering to us from the moment we got there the hostess greeted us with an amazing attitude and we got welcome champagne upon arrival . The whole night was magical and the manager went out of his way to make sure everything was going good for us. The food was amazing and the service was outstanding. I’d recommend this restaurant to all of my friends. Great time and good food! Amazing place. Amazing food, great service and beautiful ambiance. Matt was the best server! It was such a great dinner. The oysters and steak are amazing. Our Server Stacey was amazing she was so sweet and friendly, with a huge genuine smile. It was nice to see that. She was very attentive to us and all in all it was a great evening. Definitely recommending this restaurant. Great music and ambience! Would definitely come back again! We celebrated my husband’a birthday there. I has asked for a quiet and romantic table which they gave is. The service, food and ambiance was fantastic. This was our first time there. We would definitely go back. Beautiful setting for a nice dinner. The food however was just okay. I ordered a 14oz steak with wine and crab toppings and it didn’t wow me. 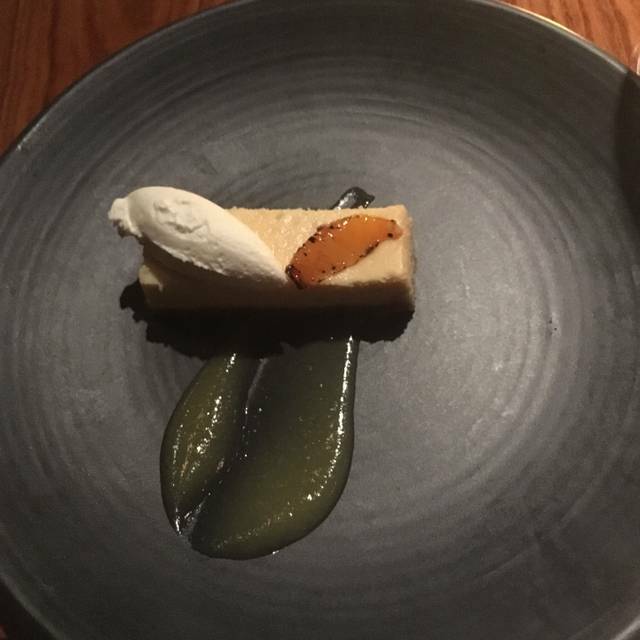 The presentation of the food however was beautifully done. Birthday dinner was great! The short rib was the best I’ve ever tasted. Can’t really fault them for this but server definitely tried to upsell when making recommendations, but she wasn’t pushy it was just obvious, which to some can seem pretentious. One of our steaks was over cooked and was sent back but they made good on it. And the Wine sommelier that is there is fantastic and honest and he recommended a delicious red cab from California, and also gave us some recommendations for Lcbo finds in southern France and Spain, great tip to take home. But ambience was live, staff friendly, even better food!!! I’m going back just need another reason! This was our 2nd time here for dinner on a Saturday night. While Our 1st experience here wasn’t good (poor service), our 2nd time here was much better. Our waiter Gareth was very personable & recommended the rib cap steak that wasn’t on the menu. It was the best steak I’ve tasted! I had it cooked medium rare. Perfect! I ate it with the medley of mushrooms which was delicious. The chimicurri sauce was good too. For appetizers we had the Cesar salad....just ok. No anchovies included & lacks punch. The steak tartare was delicious...had this last time as well. As I’m gluten free, I opted for the taro chips instead of the baguettes & it was yum! Recommend with some drawbacks. Social hour has limited areas for sitting. None at tables. 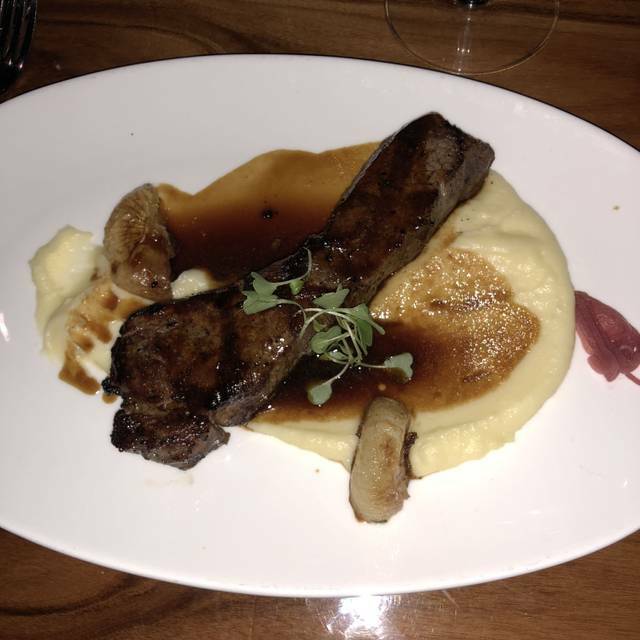 My boyfriend and I went on a Friday night to STK A family friend gave us a gift certificate for Christmas. The restaurant itself is very pretty and nicely decorated. The bar was lively and fun. Our reservations were at 8:30pm. They let us know that our table wasn’t ready so we decided to have a drink at the bar while we waited. The bartender handed our bill right away and we weren’t able to just put our drinks on our dinner bill. That was the first thing that annoyed me. We finally got seated at 9:00pm. Our waiter, Matthew was wonderful and our wine was great. But our main meals were absolutely terrible. My boyfriend got the 14oz striploin and I got the 6oz filet and we got the Mac and Cheese as our side. The Mac and Cheese was mediocre and our steak were both horrible. The outside of both steaks were so charred that they were tough to cut and chew. 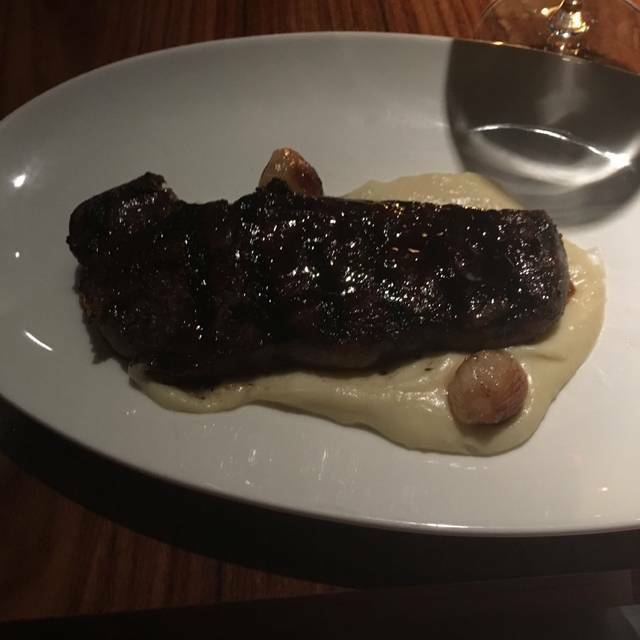 When you pay $40-$45 for a single piece of steak you expect good quality meat and the steak was such poor quality. Thankfully we had a gift card, I would be very upset if we had to pay for that meal. 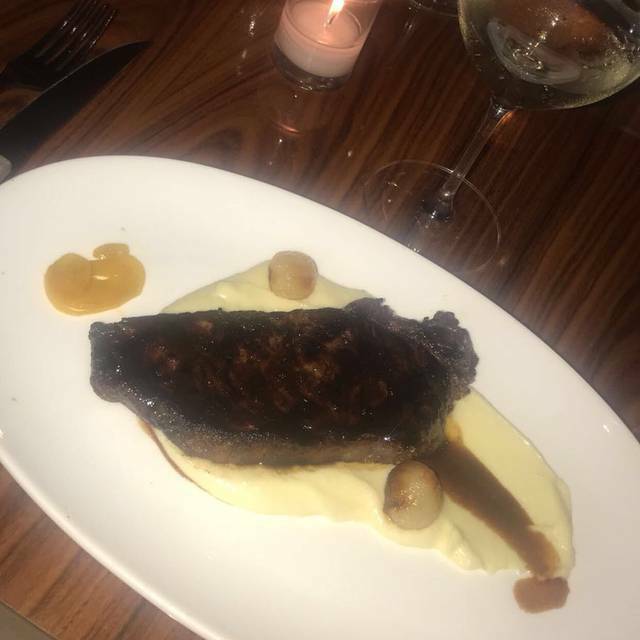 With all the hype that surrounds STK, I can honestly say I was very disappointed. 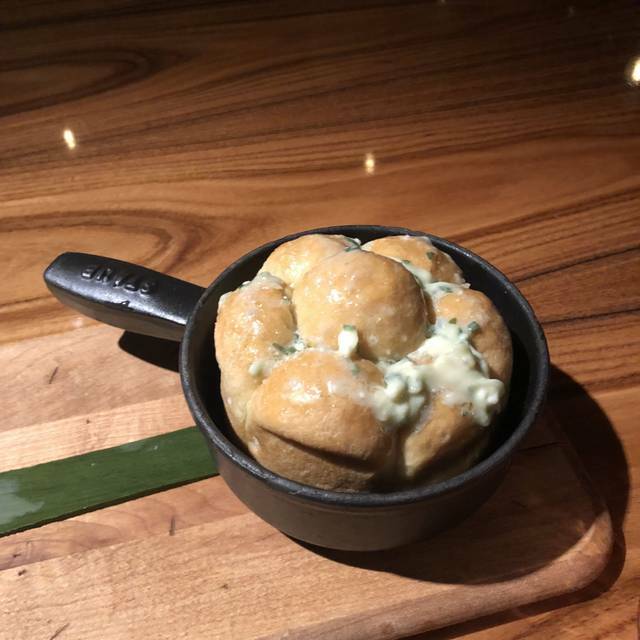 I would not recommend STK to anyone, it was a terrible experience.